Ekove Efrits is comprised singularly of the Iranian Count De Efrit, who formed the project in 2001. After four demos and a split, De Efrit found himself picked up by Belarus label Possession Productions who released his debut full-length effort Suicidal Rebirth in 2008. His following album, Hypermnesia, would find an independent release in 2010 before he landed a deal with Hypnotic Dirge Records to release 2011's endeavor, Conceptual Horizon. 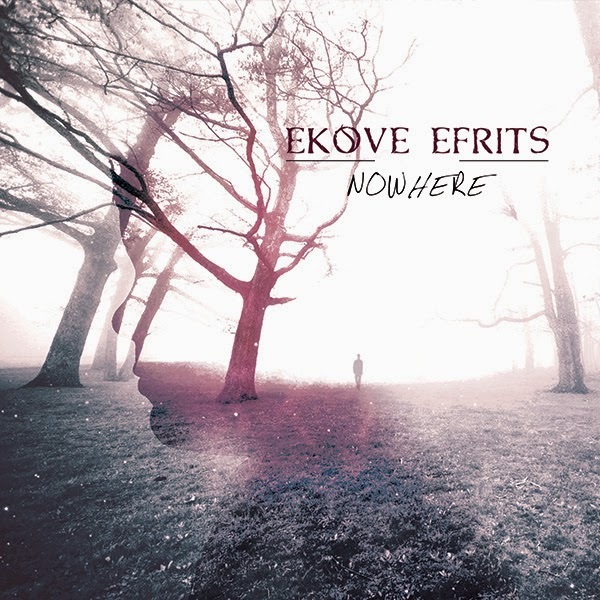 Now, still partnered with the same label, Ekove Efrits is on it's fourth full-length record entitled Nowhere, where Count De Efrit has brought in Megan Tassaker, an additional vocal talent from the gothic metal group Lycanthia. How well does this duo deliver the material found on the new release? If you can imagine the obscure soundtrack that Porthishead provides (think "Glorybox" and some of the other stuff from Dummy) coupled with female vocals similar to that of Amy Lee from Evanescence with extremely small samples of your average black metal band thrown in then you pretty much get the entirety of Nowhere. Essentially the material has the same idea as Netra's Sørbyen (reviewed here) but to a lesser extreme; the content from Ekove Efrits barely classifies as anything relatively close to metal, while Netra's album carries an even weight of both trip-hop/electronica and black metal. 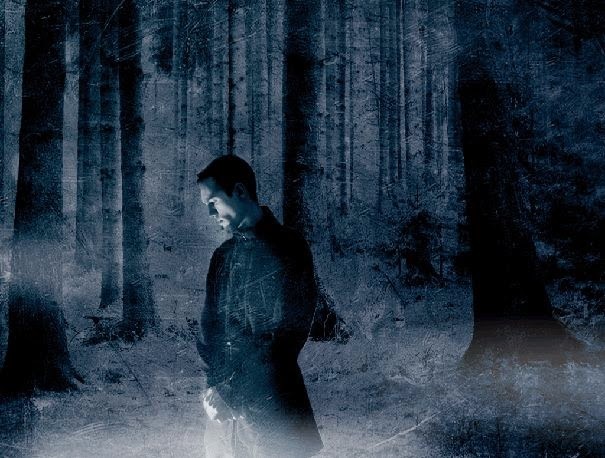 Given that Count De Efrits pronounces his material as that of purely ambient/atmospheric depressive black metal nature, this misconception and expectation leads to major disappointment of the album from the beginning of the second track. Considering that the material was summed up in one sentence above, there's really not a lot to elaborate on. There are an abundance of keyboard effects and twisted sounds that make up roughly ninety percent of the material, including clean piano keyboards, synthetic violins and nature sounds that include chirping birds, rain, wind and thunder. Megan's vocals carry a large portion of the content and are clean, beautiful and harmonious; she does an outstanding job and her voice does fit the style of music. There are very few black metal elements thrown about, mostly being an extraordinarily short electric guitar section or some faster drum programming as well as the expected vocals of the genre added in every now and then. Nowhere isn't exactly what one would call a bad album, but it's definitely not going to appeal to most metal heads; especially those into the harder stuff. Even those that can hang back and enjoy Netra will not necessarily find this content appealing due to the immensely low relation to metal in general. It's not a recommended listen, but if you've still got a lot of love deep down inside for Portishead, or your guilty pleasure is Evanescence, give it a shot.